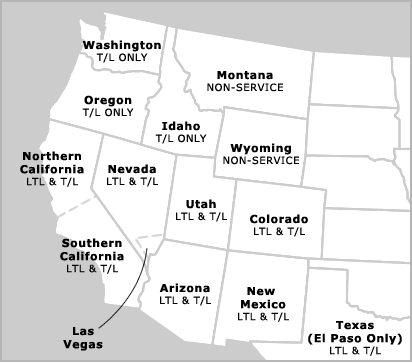 Coverage Area - Cooke Trucking Company, Inc.
Limited service in Reno, NV and Western Mountains of CO. The downloadable coverage map is in PDF format. To view them you will need Adobe Reader. Please click here to download Adobe Reader.